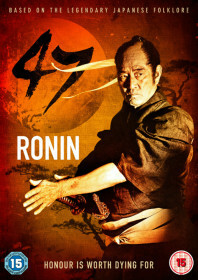 Solid, straight-faced, multi award-winning retelling of the 47 ronin story. The film deserves its plaudits for strong acting performances, particularly from prolific actor Ken Takakura in the lead, and measured direction from Kon Ichikawa, who produces a subtle film full of intrigue, subterfuge and brief moments of light, before culminating in a bloodbath. Set in the early 1700s, this version focuses on the role of Oishi as chief retainer of the slighted Ako Samurai domain, who are forced to abandon their council by the ruling shogunate and become ronin when their leader attacks the imperial Lord Kira and is made to perform seppuku. The motivation behind the attack is never fully examined and, instead, a false rumour is created by the newly disbanded Ako Samurai to diminish the credibility of Lord Kira. Oishi leads the loyal group of 47 ronin who spend the next 21 months planning their vengeful attack on the Edo governmental stronghold in a bid to kill Lord Kira and restore their honour. Oishi is also depicted as a conflicted family man who starts an affair with a much younger girl. Despite the girl’s purity of heart and the opportunity for a new lease of life, he still decides to fight to defend the legacy of his tribe. It’s a fascinating watch.